Reading and learning about our Jamestown ancestors and how they survived and contributed to the founding of our nation is often a key to determining membership eligibility. As a start, we offer this list of recent books that offer the results of research into the establishment of the first permanent English colony in America. 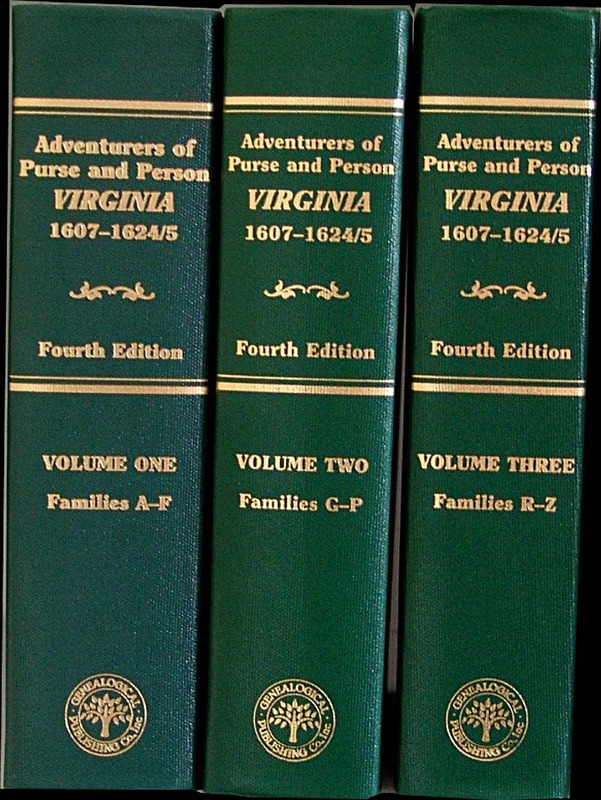 Virginia Immigrants and Adventurers, 1607-1635: A Biographical Dictionary; by Martha W. McCartney; (Baltimore: Genealogical Publishing Co. 2007). This is an excellent resource about the early settlers that arrived in Jamestown in the three decades when it was becoming established. It offers biographical data and records for more than 5,500 people (including over 200 people omitted from the 1624/25 muster list) with maps showing the sites of the earliest plantations that help link the entries in this dictionary. 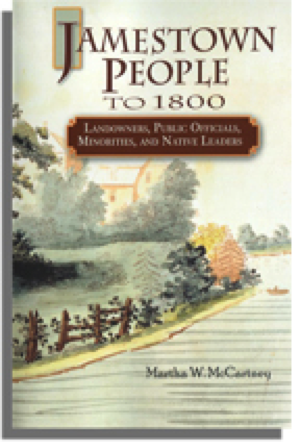 Jamestown People to 1800: Landowners, Public Officials, Minorities, and Native Leaders (Baltimore, Genealogical Publishing Company, 2012). Martha W. McCartney has published her latest collection of biographical sketches of the people who lived in and around the original colony for nearly two centuries. Using an array of fascinating but little known sources, McCartney has carved out authoritative biographies and sketches of everyone in the public record associated with Virginia’s capital, from landowners to slaves. She has also enriched her text with a careful study of privately held papers, lending texture to the historical record while filling in little known details about this very distinctive population. 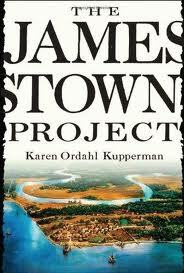 The Jamestown Project; by Karen Ordahl Kupperman (Cambridge, MA: The Belknap Press of Harvard University Press, 2007). Here is an “engaging and accessible interpretation of the settlement of early Virginia” by one of the leading Jamestown historians (she is the Silver Professor of History at New York University). This is an essential read for anyone to gain an understanding the colonization challenges from the English viewpoint. Unlike most of histories of the colony, The Jamestown Project delves into the background and objectives of the Elizabethan-era English trading ventures and how they led to Jamestown becoming the pioneering and instructive colonial project among several throughout the Atlantic world. The Jamestown Project details how the Virginia Company’s management and governance policies changed over Jamestown’s first decade of existence. It also describes how the colony became, unlike the failure as it is often portrayed, the model for all subsequent English colonial ventures (beginning with Bermuda and the Mayflower’s landing in Massachusetts), largely based on John Smith’s writings (as perceptive an observer as he was an intrepid explorer). These models were then employed worldwide as the foundation for the British Empire. The Deadly Politics of Giving: Exchange and Violence at Ajacan, Roanoke, and Jamestown; by Seth Mallios. (Tuscaloosa: University of Alabama Press. 2006). The Indians of the Powhatan Confederation had a profound effect on the unfolding establishment of Jamestown. Many events and the conduct of settlers’ lives were determined by the tensions and conflicts with them. In this book, Dr. Mallios explores the underlying reasons. Indians expected Europeans to trade with them in ways dictated by native custom and protocol. When colonists met such expectations, relations between the parties tended to be peaceful; when they did not, hostility ensued, with the Indians often employing symbolic forms of violence that called attention to the Europeans’ offenses. The causes, forms, and functions of Indian violence, in other words, made sense within a Native politico-cultural context. Dr. Mallios, who chairs the Department of Anthropology at San Diego State University, was among the first members of William Kelso’s Jamestown Rediscovery Project team (see the following listing) and edits the Journal of the Jamestown Rediscovery Center. 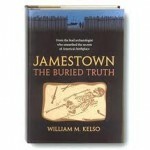 Jamestown: The Buried Truth; by William M. Kelso (Charlottesville: University of Virginia Press, 2006). That Jamestown was abandoned and disappeared in the 18th century was for a long time unfortunate for the historical understanding of all origins of our nation. That it was is now also fortunate, because the Jamestown Rediscovery Project’s archaeological efforts, which began in 1994, have unearthed important evidence of the original 17th century structures and preserved artifacts that are giving us new facts and proof of its settlers’ determination to succeed. Dr. Kelso (Head Archaeologist of the Jamestown Rediscovery Project) provides an intimate guided tour of the James Fort archaeological site and some of the people and objects associated with it. This book is well illustrated together with numerous fine excavation and artifact photographs. 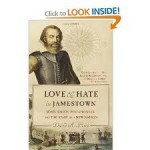 A Land As God Made It; Jamestown and the Birth of America; by James Horn; (New York: Basic. 2005). A”must-read” for Jamestowne Society members. Armed with unparalleled knowledge of Jamestown’s role in early American history, historian James Horn has written a gripping account of the first years of the colony that gave rise to America. From the unimaginable hardships endured by early colonist in their efforts to establish a settlement, to the dramatic exploits of Captain John Smith and his relationship with the two great Powhatan chiefs of the era, Jamestown began the long process by which different people came together to create America. Dr. Horn is President and Chief Officer, Jamestown Rediscovery Foundation of Preservation Virginia. Brave Vessel: The Tale of the Castaways Who Rescued Jamestown and Inspired Shakespeare’s The Tempest; by Hobson Woodward. (New York: Viking, 2009). Woodward focuses on William Strachey, a Shakespeare contemporary and would-be poet whose real forte was as an acute observer and chronicler of the shipwreck and Jamestown’s early years. Where his poetry and other works would otherwise relegate him to the oblivion of forgotten mediocrity, he stands out as an extraordinary and original source for those events with his accounts of the Bermuda adventure and his sojourn in the new settlement. Captain John Smith: Jamestown and the Birth of the American Dream; by Thomas Hoobler and Dorothy Hoobler, (New York: Wiley; 2005). “This biography is one of those important, smaller, history books by informed scholars that often lead the way in our fundamental historical understanding. From Hoobler and Hoobler comes a surprisingly insightful life study of the surprisingly appealing John Smith. The vast majority of Americans know virtually nothing about Smith. What is known is usually wrong. Truthful, well-written, and informed books like this are of critical importance in keeping the record straight.” (From a review by Bill Lewis for Northshire Bookstore). It gives important context for Dr. Kupperman’s edition of Smith’s writings (see the next recommendation). Captain John Smith; A Select Edition of His Writings; by Karen Ordahl Kupperman (editor); (University of North Carolina Press, 1988). Captain John Smith was one of the most insightful and colorful writers to visit America in the colonial period. While his first venture was in Virginia, some of his most important work concerned New England and the colonial enterprise as a whole. This is an intelligent and imaginative selection and thematic arrangement of Smith’s most important writings. As a reasonably priced distillation of the best of John Smith, Dr. Kupperman’s edition will allow a wide audience to discover what a remarkable thinker and writer he was. 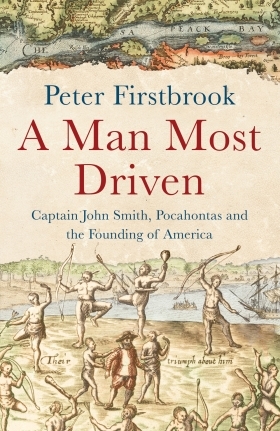 A Man Most Driven; Captain John Smith, Pocahontas and the Founding of America; by Peter Firstbrook (London: Oneworld Publications, 2014). Captain John Smith’s iconic shadow still falls over Jamestown 400+ years after his 34-month sojourn in helping to found it. That specter is replete with mythology about a certain prepubescent Powhatan girl, disciplining settlers and facing down indigenous chieftains. This new and readable biography helps to brighten that shadow and add human dimensions to that icon. 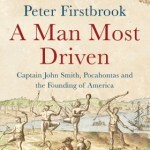 Firstbrook acknowledges that he relied heavily on the seminal works on Smith by Bradford Smith and Laura Striker and Philip Barbour. But he also used his journalistic skills and new, original sources in describing more obscure episodes that Smith chronicles in his writings, such as his birthplace and early life, soldiering adventures in Eastern Europe and escape from slavery from Turkey through Russia. He enhances them them with illustrations from Smith’s works and maps. We learn more details about the captain’s dealings with his fellow settlers and the Powhatans (and their perspectives on him), his explorations and naming of New England and, finally (though briefly), his final decades of reflection in England. Pocahontas, Powhatan, Opechancanough: Three Indian Lives Changed by Jamestown, by Helen C. Rountree; (Charlottesville: University of VA Press. 2005). Helen Rountree provides in a single book biographies of Pocahontas, Powhatan and Opechancanough, three important figures in Jamestowne’s earliest years. 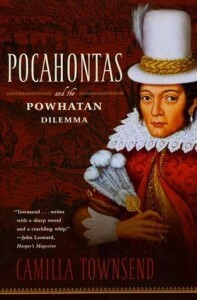 She depicts the Indian experience with the English settlers – from the wary initial encounters presided over by Powhatan, to the uneasy diplomacy characterized by the marriage of Pocahontas and John Rolfe, to the warfare and eventual loss of native sovereignty that came during Opechancanough’s reign. Rountree draws a portrait of Powhatan life in which the land and the seasons governed life and the English were seen not as heroes but as Tassantassas (strangers), as invaders, even as squatters. 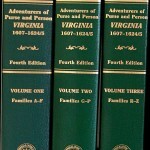 The Virginia Adventure – Roanoke to James Towne; by Ivor Noel Hume; (Charlottesville: University of Virginia Press, 1994). Formerly chief archaeologist at Colonial Williamsburg, Ivor Noel Hume pieced together revelatory information extrapolated from the shards and postholes of excavations at sites on Jamestown Island (prior to 1994) with contemporary accounts found in journals, letters, and official records of the period. This is an account of high and low adventure, of noble efforts and base impulses, and of the inevitably tragic interactions between Indians and Europeans, marked by greed, treachery, and commonplace savagery on both sides. 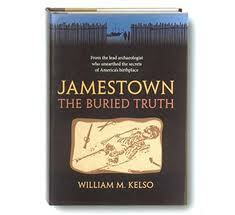 The Jamestown Society also offers these recommendations and others among an extensive list of books and publications. The Library of Virginia also offers an extensive bibliography of Jamestown and Seventeenth-Century Colonial Virginia Readings and Web Sites.